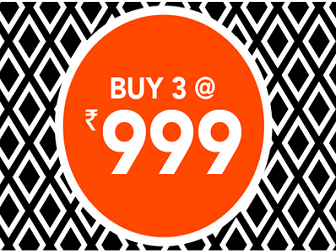 3 products at Rs.999 without using any jabong discount coupons. Choose 3 products of your choice and of any price & add to the cart you will see the discount automatically. Go to the Jabong Offer Page. Choose any 3 Products & add to the cart.